Stylized officially as STAPLES Center, the Staples Center is a multi – purpose sports arena that is located in Downtown Los Angeles. The arena is adjacent to L.A.Live development and is situated right next to the famous Los Angeles Convention Center complex found along the Figueroa Street. The arena has earned a reputation of being among the major sporting facilities found in the Greater Los Angeles Area. The construction of the STAPLES Center was commenced in the year 1998 and was opened one year later. The construction of the arena was privately financed and cost an approximate amount of US $375 million. The arena was named after Staples, Inc., an office supply company which was among the corporate sponsors that paid for the naming rights of the center. The center was officially opened on the 17th of October, 1999 with a performance from remarkable performers. The inaugural event was graced by Bruce Springsteen and a concert from The E Street Band. The center celebrated its 10th anniversary on the 21st of October, 2009. As a commemoration of the occasion, the official website of the center nominated 25 of the greatest moments ever experienced in the arena during its initial decade and had fans vote on the top 10. Certain modifications and upgrades were made to the arena during the 2010 late summer. Some of the renovations and modifications that were made to the arena include refurbishment on the locker rooms for the Kings, Clippers and the Lakers. Another notable modification that was made to the Staples Center is the installation of a brand new high-definition center-hung video scoreboard (Panasonic Live 4HD). It was brought in as a replacement of the original one that had remained installed since the opening of the arena in 1999. The scoreboard was unveiled on the 22nd of September an event that saw quite a number of visitors present for the presentation. Staples can be accessed easily from a number of major freeways as well as from several public transport options. Some ideal travelling options include taking the Red Line and proceeding to the 7th St. Metro Center station. You can also take the Expo Line from Culver City. Staples Center offers quite a number of parking options that you are sure to find amazing. There exists more than 16000 parking spaces within a walking distance of the center. There are Parking LOT W, West Garage and LOT E, East Garage which are both open between 6am and 2am. You can opt for ticketmaster outlets for prepaid packing and ordering a spot. There is also parking for the disabled. 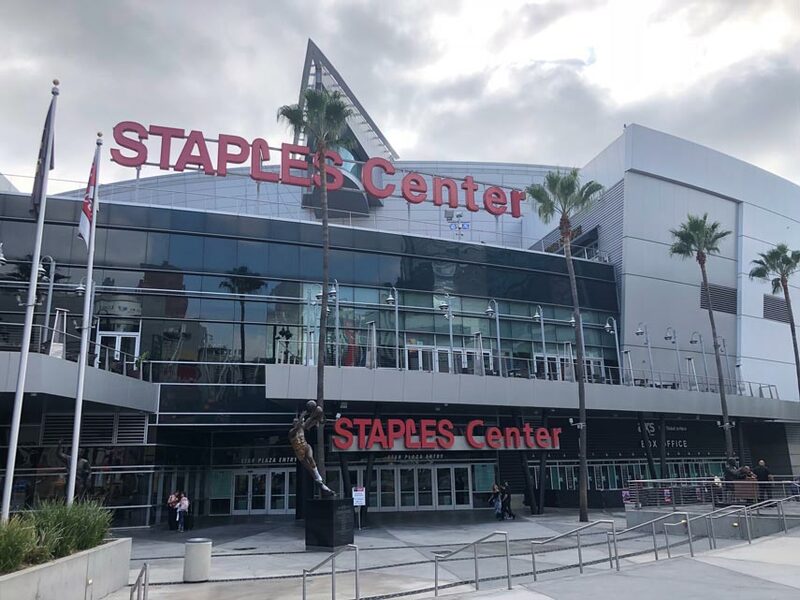 Officially opened as home to the Los Angeles Clippers, Los Angeles Kings and Los Angeles Lakers (NHL), the Staples Center hosts quite a diverse range of events. The center is considered the busiest arena throughout California and hosts local, regional as well as international artists ever since its opening. Bruce Springsteen was the first musician to perform in the arena, being entertainment during the opening event. The E Street Band also performed in the arena. Some of the other notable musicians that have performed in the Staples Center include Puerto Rican Ricky Martin, Cher, Mariah Carey, Barbra Streisand, Faith Hill, Tim McGraw as well as Iranian Googoosh. NSYNC also performed at the arena during the No Strings Attached Tour. In the year 2001, some of the events that were hosted at the arena include the 43rd Annual Grammy Awards which was held on the 21st of February. Big names in the music scene like Backstreet Boys, Depeche Mode, Janet Jackson and Bob Dylan have also had their tours in the arena. The 44th Annual Grammy Awards event was hosted in the arena followed with the 46th to the 53rd Annual Grammy Awards as well as the 56th and the 58th. The 2000 Democratic National Convention was held at the arena and so was the memorial service in celebrating the life of the renowned Michael Jackson after his death in 2009. The center hosted the 2013 and the 2016 grand finals of the world championships of the League of Legends Justice League. Between 2009 and 2015, it hosted SummerSlam, the WWE annual pay per view. For a brilliant experience at the Staples Center, you should probably consider booking premier seats. There are millions in the world, but the Staples Center isn't one that is in need of an introduction. The Staples Center is well-known all over the world for its fabulous architecture and variety of events. Home to the LA Lakers, the Staples Center frequently hosts ice hockey, football, boxing, professional wrestling events, concerts as well as e-sport tournaments. If there's something that needs an arena, Staples has probably hosted it a couple of times in the past. The Staples Center in DTLA (Downtown Los Angeles) is also the official home of the Los Angeles Kings of the NHL and the Los Angeles Clippers of the NBA. No other arena in the world is the home of two NBA teams plus an NHL team. As if that were not enough the Staples Center is also home for the ladies as well. The WNBA Los Angeles Sparks have a home at the Staples Center as well. All the major concerts come through routinely. Ed Sheeran, Drake, Elton John, Beyonce, Justin Timberlake, Pink, plus more artists never miss the Staples Center when they are on tour. 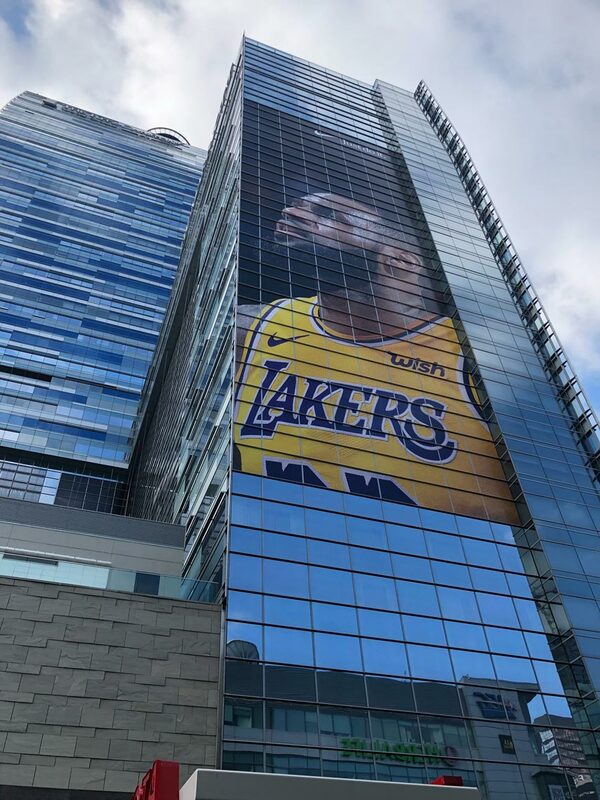 And of course as of July of 2018, the Staples Center will host one of the biggest stars in the world: Lebron James. Lebron James is now a member of the Los Angeles Lakers. Where can I get tickets for events at the Staples Center? Where can I park at the Staples Center? Also of note is the role of the Staples Center in the revamping and resurrection really of downtown Los Angeles. Now the area is booming, but that was not always the case. The Staples Center planted its flag long before the recent boom arrived, and it deserves a ton of credit for entering the area when development and investment was much, much more risky. Now it serves as the central point of entertainment in Los Angeles and especially DTLA. So, now that we know how great the Staples Center is, let's talk about something else the venue brings to the table, food. There are over a dozen restaurants around the premises of the Center. As you can see from the title, this post will be mentioning some of the best restaurants around the Staples Center. If you were to categorize Tom's Urban in a category, we'd say that it is technically a sports bar. But, when you take a look at their menu, they look nothing like a regular sports bar. The place is reeking with delicious cuisine and exotic cocktails that could add a bit of fun to your standard screenings. Other than that, when it's not game night, they show quite some knowledgeable stuff as well as their own music video playlist. It's our guarantee that you won't get bored here. This list wouldn’t be complete without a classical Mexican restaurant and luckily, El Cholo is the best in town. The restaurant chain is an extremely old one. The idea for the first branch was pitched in 1922 and the restaurant was launched in 1923. At the time, it was called Sonora Café but the name was changed to El Cholo. There are currently six branches of El Cholo spread throughout the country. But, by far, the busiest one is next to the Staples Center. The Mikkeller was named the best beer bar in Los Angeles but it is much more than that. They have a lot more on their menu than just beers. Their menu has a ton of dishes that you won't find around the Staples Center. From snacks to delicious dishes, you can eat right after a Lakers game or have the food delivered right to your doorstep. You could say that we saved the best for last. The Palm is a true spectacle and a next door neighbor to the Staples Center. It is a multi-level facility that often entertains some of the best athletes in the world. There are often visits from folks like Magic Johnson, Luc Robitaille and Kobe Bryant. Also, they have great courses that could leave you licking your fingers. Make sure to check out The Palm Los Angeles and see if you can check Lebron James enjoying a meal after a LA Lakers game. Dining with celebrities and eating absolutely phenomenal food. What more could you ask for?